SAS Autumn Beach Clean comes to Seaford! 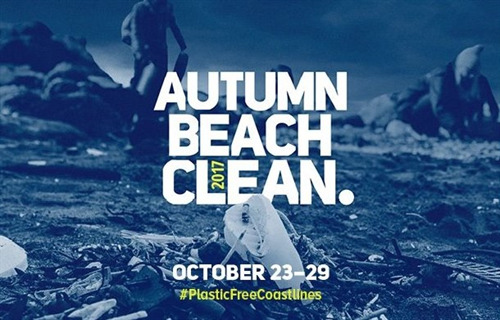 Seaford Town Council is pleased to support Surfers Against Sewage and their partners for this year’s Autumn Beach Clean. Each year the coastline communities brace themselves against the winter conditions that create a ‘Perfect Storm’ of plastic pollution on the beaches. Claire Powell, an SAS Beach Clean Leader, has joined Surfers Against Sewage and their partners; The Crown Estate, Greggs, Parley for The Oceans and Ecover, to become a Beach Clean Leader to inspire and empower the community to take action to help create Plastic Free Coastlines. Claire, says "I want to encourage local people to think more about the plastic waste they produce and the effect of plastic on the sea. Along with over 300 other Beach Clean Leaders, I have joined Surfers Against Sewage and their partners to unite, inspire and empower my community to take action to help create Plastic Free Coastlines." Please wear comfy clothing. Bin bags (non-plastic) and equipment will be provided. Frankie’s Beach Café has kindly offered to provide everyone that takes part with a free hot drink! Claire will also read ‘Duffy the Sea Turtle’ at the end of the beach clean as a thank you to any younger volunteers for their efforts!